Frustrated by the recent release of hundreds of pages of documents related to the death of a toddler last year, an Allen County judge Thursday ordered jurors from outside the county to be selected for the trial of the boy's mother. The Journal Gazette requested records from the state Department of Child Services that include case files, medical records, police reports and other information related to the case of Malakai Garrett, who died in November. The request was granted in mid-October. 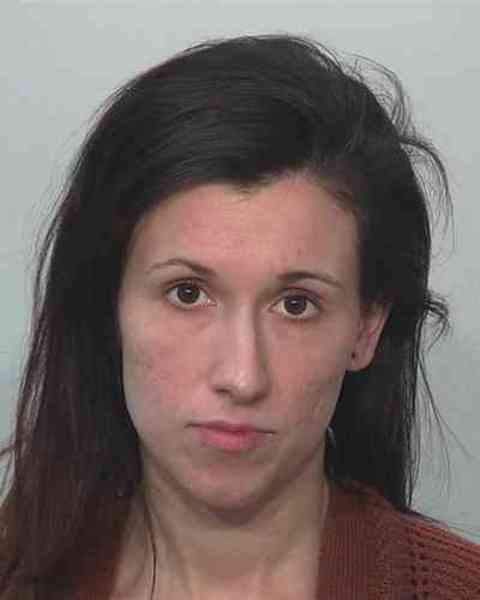 Police said the boy was beaten, and Amber V. Garrett, 27, is charged with two counts of felony neglect. Mitchell Vanryn, 28, whom investigators said was taking care of Malakai when he died, is charged with murder. Garrett's lawyer, John Bohdan, sought a change of venue in February but Allen Superior Court Judge Fran Gull denied it in June, saying he had not shown pretrial publicity, comments on social media and angry messages about his client written in chalk outside the courthouse would bias potential jurors. Gull said in court Thursday the release of the documents – and a story published in the newspaper Sunday that summarizes them – changed her opinion. The trial had been set to start Nov. 27, but it was moved to June 24. The trial will be held in Allen County with jurors selected elsewhere. Bohdan said before the hearing Thursday he asked the judge to reconsider his earlier request after the newspaper and WANE-TV ran stories based on the documents. Release of the 400-page report and information included in it further threatens Garrett's chance at a fair trial, he said. Allen County Prosecutor Karen Richards also expressed frustration over release of the documents and said she would not challenge action to secure jurors from another county. A decision on the county from which jurors will be chosen was not made Thursday. Malakai died Nov. 29 and had injuries to several internal organs, according to court documents. Doctors said the injuries were consistent with strikes from a closed fist. Vanryn was charged in November, after he took Malakai to a fire station near Garrett's Palmetta Court home when the boy was unresponsive. Garrett was charged in January. The Journal Gazette filed a request for the documents in December through the state's open records law. Allen Superior Court Judge Charles Pratt made them public last month. The move to bring out-of-county jurors to Allen County to hear a case is the second such decision in a month, and it's likely a third case could soon be added to the mix. Gull ruled Oct. 1 that jurors from Marion County will be selected to hear the case of Marcus Dansby, who is facing the death penalty for allegedly killing four people in 2016. His trial is scheduled to begin in April. Judge John Surbeck indicated he probably would agree to allow jurors to be selected from another county for the Feb. 11 trial of John D. Miller, the Grabill man accused of sexually assaulting and killing 8-year-old April Tinsley. Allen County deputy prosecutors Tom Chaille and Patricia Pikel argued in court documents filed Thursday they do not believe Miller has shown evidence of potential bias or prejudice from potential local jurors. A hearing in that case is scheduled Dec. 7.